The corner of 10th and O streets in downtown Sacramento was buzzing with construction activity as Hensel Phelps began sitework for the California Legislators’ “swing space” annex building last week. 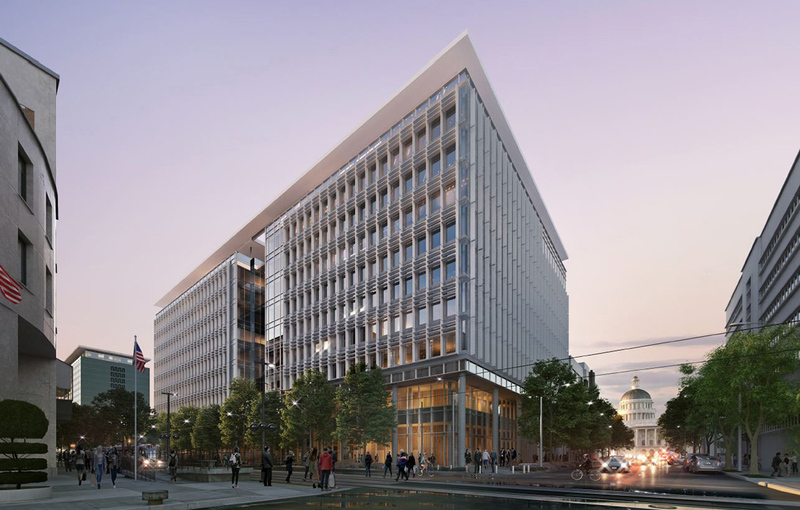 Working closely with the State of California Department of General Services (DGS), construction manager Gilbane, and design-build partners HOK and Dreyfuss + Blackford, the project has gone from planning to construction in just eight months. Hensel Phelps, as the general contractor, is leading the progressive design-build team for the $423.6 million project. The fast-track project will serve as a temporary home to the Governor and Legislators, while the existing 67-year-old Capitol Annex is rebuilt to meet current codes and address space constraints. The new “swing space” annex building will rise 10 stories above 10th and O streets, and house 472,000 square feet of office space for approximately 1,250 state employees. The building is designed to be net-zero for both energy usage and carbon emissions, and is slated for completion in 2021. For more project information from the State of California Department of General Services visit DGS Newswire. For a Sacramento Business Journal article click here.